ALL BUSES ARE ADA ACCESSIBLE. 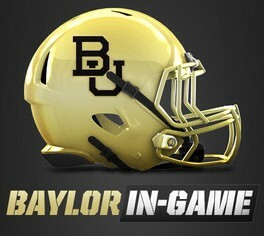 Baylor In-Game App – Make your smart phone part of your game day experience. The Baylor In-Game app offers live video and replays, parking assistance, social media, real-time stats, breaking Baylor Football news, videos including coach and player interviews, and a photo gallery. KWTX Baylor Game Day Guide – In addition to ticket, parking, and game day weather information, KWTX will debut “Baylor Game Day.” This live pre-game show will be broadcast prior to each home football game from Touchdown Alley. The show will feature exclusive interviews, analysis, and special features from Baylor and the KWTX team. Would you like to be part of the live TV fun? The show starts at Touchdown Alley at 5:00 p.m. Come decked out in body paint, bring signs, and show your spirit! Plan to be there early. Dr Pepper Museum Discount – Wear your team spirit gear to the Dr Pepper Museum on Baylor home game days and get $1 off admission. Stadium Tours – Take a 90-minute guided tour of McLane Stadium, home of the 2014 Big 12 Champion Baylor Bears and also Central Texas’ new state-of-the-art entertainment and sports venue. The tour includes: Baylor locker room, Presidential Level, press box, recruit lounge, the Baylor Club and field access. For stadium tour tickets, dates and times click here. Free “Tailgater” shuttles to pick up at 3rd Street and Franklin Avenue, next to the Greater Waco Chamber of Commerce in downtown Waco. Riders can avoid traffic congestion by parking downtown each home game and catching the Tailgater at 3rd Street and Franklin Avenue. The shuttles will start running three hours before each home football game and continue for one hour after they end. Shuttles will run before, during and after the game. A separate ADA shuttle service, for the elderly and those with disabilities, is also available at the Baylor Research and Innovation Collaborative building, located at 100 Research Parkway. Those who wish to use this service should contact the Baylor Ticket Office at (254) 710-1000 for additional details and/or requirements. For more information about the Tailgater, please call Waco Transit System at (254) 750-1613 or (254) 750-1900. Baylor & McLane Stadium Parking – General information about pre-paid parking at the stadium and on campus. This site also includes campus road closures. For detailed directions and an interactive map to pre-paid parking locations, click here. Brazos Parking -The SicEm 365 Tailgate is for every home game of Baylor’s 2017 football season. Located near George’s Tent on Brazos Parking, the SicEm 365 Tailgate is open to everyone who doesn’t (or does) have a place to call Tailgate home. Baylor Club – Members and their guests do not have access to the Baylor Club’s facilities unless they are a suite ticket holder or club seat ticket holder. Baylor Club members and their guests are invited to the tailgating experience across the river at Knox Hall and the Texas Ranger Hall of Fame. Visit the site for pricing and parking information. 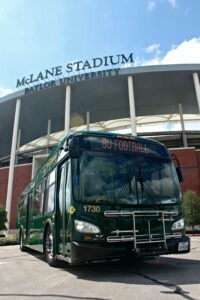 Baylor Game Day for Students – Information to prepare Baylor students for the first football season at McLane Stadium. Students can review ticket and tailgate policies, learn how traditions like the Baylor Line will transition to McLane Stadium, and get primed for game day. GameDay Downtown – Enjoy free parking,then stroll through downtown, visit shops and restaurants, and catch the Gold-Rush Tailgater shuttle pick-up. Historic Waco Foundation – Reserved parking for the six Baylor home games cost $100. Any unsold reserved parking spaces will be sold on game days. For reservations or more information, call (254) 753-5166. Earle-Napier-Kinnard House will offer game-day parking behind the historic house and HWF offices at 810-814 South 4th Street. (4th Street & I-35 S). Within walking distance of the stadium and pedestrian bridges. 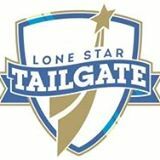 Lone Star Tailgate – A limited number of parking spaces will be available for each home game. Spaces are $50 each per game. No RV or trailer parking will be available. Please contact Krista Martin for availability – krista.martin@tshof.org or by calling 800-567-9561. POW! Tailgating – POW! Tailgating will deliver, set-up, clean-up, and break-down everything you need for an all-in-one Bear Tailgate experience. Sailgating – Information about getting to McLane Stadium by boat. On or near the Baylor campus – Street closures will start 4 hours prior to kickoff. University Parks Drive will start 4 hours prior to kickoff and reopen when Law Enforcement believes it is safe. The northbound exit on I-35 for 4th-5th St. exit will be closed. Austin Avenue between 5th & 8th streets will be open to pedestrian traffic only. Look for fun things to do here! The parking lot for the Tourist Information Center and Texas Ranger Museum has been reserved for all home game days. Both the museum and information center will be open regular business hours and visitors may park off site and use the river walk or sidewalks to access them. Click here for a list of Waco & the Heart of Texas hotels, bed & breakfasts, and vacation rentals. If you are having difficulty finding available rooms, please call Visitor Information at (254) 750-8696 or (800) 321-9226 for updated room availability information. Click here for a listing of local restaurants.